The GESD32 Spending Report is available here. You can also find it under the Financial Documents section of the website. 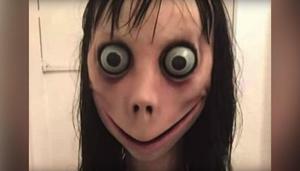 IMPORTANT: we are aware that some nasty challenges (MoMo challenge) are hacking into children's program challenges appear midway through Kids YouTube, Fortnight, Peppa pig to avoid detection by adults. Please be vigilant with your child using technology, images are very disturbing. Click to view Average Teacher Salaries Increase 2018-19. A PDF will open.